You’re driving home from work and suddenly a small rock flies at your front windshield, causing a small, barely visible crack. It’s small, so you don’t do anything about it. A few weeks later, you’re driving to work and you notice that small crack has grown. It won’t stop growing until you get it fixed. And if you don’t have auto glass coverage, the repairs could cost a pretty penny. Don’t let this happen to you. Paying for windshield repairs or replacement can cost you a few hundred dollars. However, with the proper coverage, your out of pocket cost could be nothing! Auto glass insurance covers physical damage to your windshield, sunroof, mirror, or car windows. Most insurance companies will cover the repair or replacement cost of auto glass, minus your deductible. 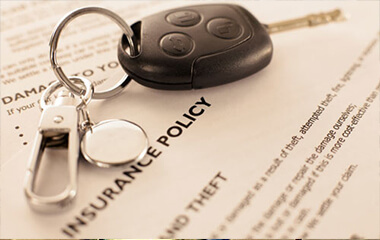 This can save you hundreds, so why not make the call to your insurance provider for comprehensive auto insurance? If you get a chip in your windshield, don’t wait to file a claim. Do it now! If you have a small chip or crack in your windshield that needs minor repairs, don’t wait to file a claim for auto glass repair. Small chips can quickly turn into big cracks or shattered glass. The sooner you file a claim for that small chip in your windshield, the less likely it is to spread and get worse. When you are shopping around for auto insurance coverage, make sure you get comprehensive coverage for any unforeseen auto glass damage in the future. Your windshield may not get chipped often, but when it does, you’ll feel better knowing that you didn’t have to pay a penny out of pocket. When it comes to choosing a reputable glass company, you’ll want to take some time and really do your homework. You want to ensure that the company that you choose has an excellent reputation, so that once the work is done, you can be confident it will last. There are several things to consider when choosing a company for your glass work. Take note of these and ensure that the company you pick meets all your needs. In some areas, those doing glass work will require licensing to legally perform this type of service. The licensing requirements vary throughout the country, so you want to check with your city to see what the requirements are. They can even be different from city to city in some areas. Once you know what these requirements are, talk to the contractors you are interested in working with. You can request proof of their licensing so you can ensure they have the licensing that is legally required. You want to make sure that the company properly evaluates their employees. People who do glass work for you will often be coming into your home or business, so you want them to be trustworthy. 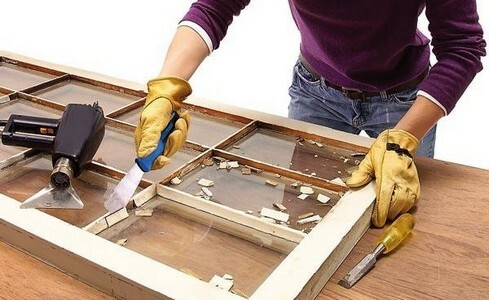 Make sure they have all the training they need to properly perform the glass work that you require so that you can be confident it will be done correctly. The most common types of glass work include commercial glass, auto glass, and shower glass. When you need these types of projects done, you want to make sure that the company you hire has experience doing the type of glass work you need. Experience with one service may not translate to another service! You easily learn more about a company’s reputation on the Internet. Try to read at least 10 to 20 reviews for each company you are interested in hiring. This ensures you get as complete a picture of their reputation as possible. It can seem like a lot of work to research glass companies before hiring one to do the work you need, but you’ll quickly see that it was well worth the time and effort once you have amazing, long-lasting, functional glass work to appreciate for years to come. You get out what you put in! Should I Get My Windshield Replaced or Repaired? Having a crack in your windshield is a real headache. You might be tempted to avoid taking your car to be repaired because the crack or chip isn’t blocking your view, but waiting can make a crack much worse! 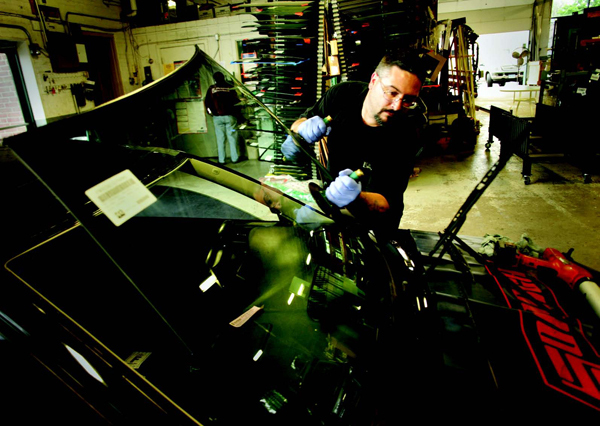 How can you tell if a windshield can be repaired? How do you know it needs to be replaced? The simple answer is: it depends. There are many factors that go into whether or not a repair can be done. It mainly depends on how much damage your windshield has sustained, and how long your windshield has been damaged. The time is important because there are other factors that can actually make the crack worse. If it has rained or snowed heavily since the crack happened, moisture can seep into the windshield, making the damage worse. If more rocks or debris have hit the damaged windshield, the impact can make the crack spread. Even changes in weather can affect how large or deep the cracks and chips are. Generally speaking, a chip that is smaller than a quarter or a crack that is less than three inches long can be repaired. Anything larger than that must be judged on a case-by-case basis, but it usually warrants the replacement of the entire windshield. How can you minimize damage to your chipped or cracked windshield? The best thing you can do to minimize damage to your windshield is to take your car in as soon as you can when your windshield is damaged. Even if the crack seems small, it’s better to get it repaired before it spreads. If you have a windshield in need of repair or replacement, don’t wait! Call Plymouth Glass now. We can set up an appointment for you to bring your car in, or our mobile glass repair unit can come to you! All 50 states have their own laws concerning whether a cracked windshield is illegal. In some states, even the smallest imperfection could be grounds for you getting a ticket. However, in other states, police are only concerned if the crack obstructs your ability to drive. Looking at the state of Connecticut, the law says that your windshield must not have any defects that obstruct your view of the road. This means that if you do have a cracked or chipped windshield, a police officer can pull you over at his or her discretion and issue a ticket if they feel your glass problem makes it dangerous for you to drive. If you already have a crack in your windshield, for example, and a rock kicks up and hits while you are driving, this could cause the crack to immediately become larger. The larger the crack, the harder it is for you to see the road. Any cracks or chips in your windshield have the potential to make it more difficult to see when you are driving. 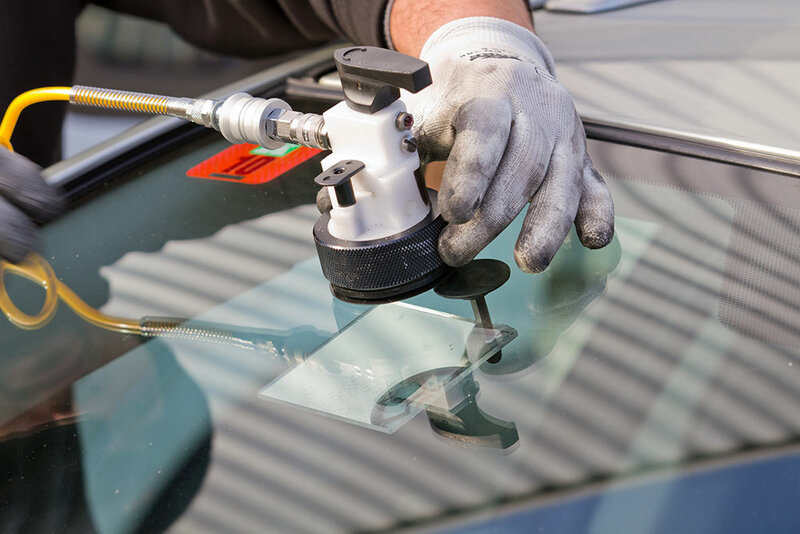 If any glass problems—on the windshield, back window or side windows—obstruct your view, it is important that the damage is immediately taken care of. While not a common problem, this is possible, especially if the glass damage is severe. If this happens, it could quickly cause an accident because it could startle you and completely obstruct your vision. Ultimately, whether you need to repair the glass or you require a complete replacement is up to the discretion of the glass professional and your preferences. Many will not repair glass damage larger than a couple of inches since this could make it harder to see through the glass. This is understandable because it is critical that nothing obstruct your view of the road. The location of the damage is also important. Your glass professional will let you know if the location of the damage warrants a replacement or a repair. Now you know more about why you should never wait when you need auto glass repair in Hartford. Make sure that you choose a reputable company to do the work, so that once it is fixed, you know that it will remain in good condition.